USC students teach after-school music classes at local middle and high schools in underserved communities. 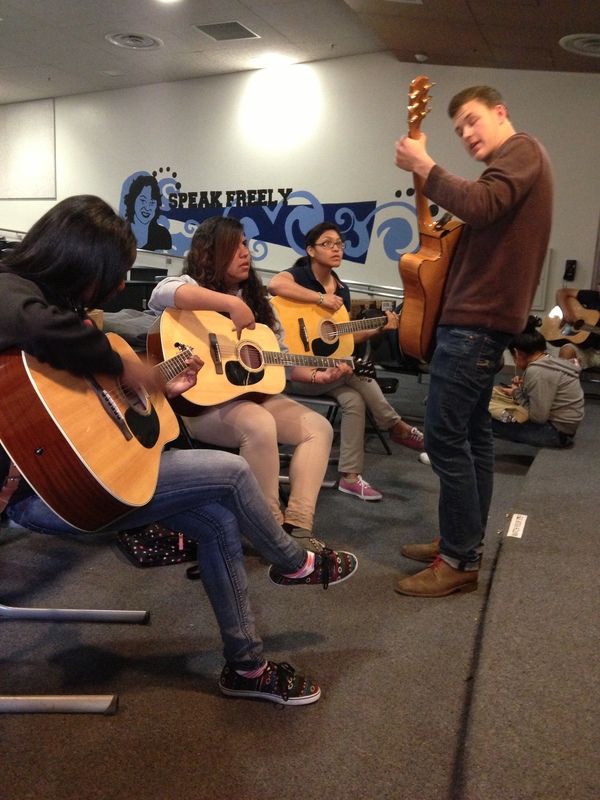 Class subjects are guitar, piano, percussion, rock band, and songwriting. Each class has a lead instructor who writes the curriculum for each week as well as an assistant instructor(s) who helps out the lead. Being an assistant instructor is a great way to gain experience teaching music with less commitment than a lead instructor. Classes are typically an hour and half long each week on Monday – Friday. Volunteers dedicate three-four hours for each weekly class (for example, leave at USC at 2:00pm and get back at 5:30pm). At the end of each semester, the students perform in a Final Showcase to show off their musical improvement for their friends and family.